This machine is used for element clipping with the steel strip. I.Description: This machine is used for element clipping with the steel strip. 1.This machine is controlled by PLC and it can automatically perform the whole procedures: strip folding, clamping, cut-off. 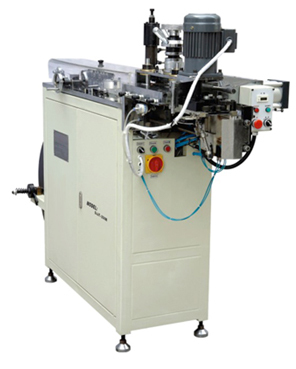 2.This machine adopts the imported high-quality pneumatic and electric elements to ensure long service life.